Last fall’s ballot initiative campaign made clear that there are many misperceptions about what it takes to permit a project in Alaska and, specifically, about the federal permitting process being undertaken to evaluate resource development projects. Alaska has an abundance of federally protected wetlands and federal lands, which results in federal agencies playing a key role in the permitting of resource development projects in the state. The current federal administration has made permitting reform a top priority. This is important for Alaskans because resource development is a fundamental cornerstone of our economy. However, there are interests openly advocating that Alaska’s resources should stay in the ground, and that we should not build roads or other infrastructure. These interests actively work to stop projects and are strongly resisting efforts to reform the federal permitting processes. Their latest claim, arising on multiple fronts, is that federal project evaluations are being undertaken too quickly. The National Environmental Policy Act of 1970 requires agencies to prepare an environmental impact statement (EIS) for most large projects. For many years, the preparation of an EIS was a relatively straightforward process - agencies took two years or so to prepare a document that was generally a few hundred pages long. In recent years, expectations for an EIS have changed exponentially, yielding a process today that is hardly recognizable from the approach that was successfully used for decades. The EIS documents for complex or controversial projects sometimes span thousands of pages and take five years or longer to complete. However, as many people can appreciate from their own experiences, the quality of a document is usually improved by efforts to make it shorter and more concise rather than longer. The current federal administration is moving towards an EIS process that is better managed and focused on producing high quality analyses under reasonable time frames. This change naturally generates resistance from constituencies who are opposed to resource development and have little or no interest in seeing a rational permitting process. 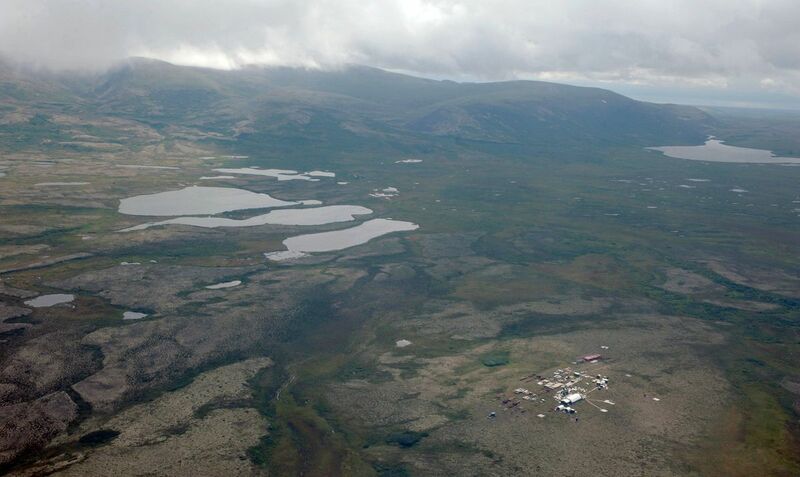 We are seeing this play out in Alaska with pushback on resource development projects across the spectrum such as the leasing programs for NPR-A and the ANWR 1002 area, the Pebble Project, and other oil, gas and mining projects. In Alaska, the agencies overseeing an EIS for a major resource development project will almost always face intense criticism that the process was flawed. This type of opposition is a virtual certainty irrespective of the quality of the work. Almost every EIS in Alaska covering oil and gas, mining, infrastructure and timber management is challenged in court. The legal challenges generally raise the same arguments — namely, that the EIS analysis was inadequate because it did not fully address the impacts of the project, that the agency should have considered different alternatives and that the public did not have enough time to meaningfully participate in the various steps of the EIS process. Not surprisingly, these arguments are being made now in the context of the Pebble Project and other high-profile resource projects in Alaska. In the case of the Pebble Project, its EIS is overseen by the U.S. Army Corps of Engineers. Given the level of interest in Pebble, the Corps has appropriately recognized that the EIS process must be well-managed, provide meaningful opportunities for stakeholders, focus on the key issues and be completed under a reasonable time frame. This is unwelcome news to opponents of Pebble, who are working hard to create a perception that the Corps’ EIS process is moving too quickly and is shortchanging the public. The Pebble EIS process officially began in December 2017, when the Corps received a project application for Pebble development. The Corps is developing the EIS in close coordination with numerous federal, state, local, and tribal governments. It established a comprehensive project website that is regularly updated. The project website includes a wide variety of background documents and all 130-plus Requests for Information made by the Corps to the Pebble Partnership requiring in-depth data and analysis of a wide range of issues. From our experience, this degree of “real time” transparency by an EIS lead agency is unprecedented in Alaska. The Pebble EIS process is steadily moving along, with the preparation of the draft EIS expected for release to the public in February. The Corps has set a goal of issuing a final permit decision during 2020. Many do not know that Pebble has spent over a decade and hundreds of millions of dollars preparing itself for the permitting process by carrying out extensive environmental and engineering baseline studies and working closely with relevant agencies to address the anticipated needs of the EIS. The effort to move Pebble into and through the EIS and permitting process has been a marathon, not a sprint. The criticisms surfacing about the Pebble Project are familiar, and the public should expect to see similar claims made on other fronts as high-profile Alaska projects are vetted by federal agencies under NEPA. For opponents of resource development, there is never enough time in the process and never enough pages in the EIS. They know that delays and uncertainty can stop projects, and they will continue to resist efforts to improve the permitting process. Fortunately, the Corps and other federal agencies recognize that the EIS process must be actively managed. In the case of the Pebble Project, the proposed 2-3 year process for the Corps’ review is consistent with the time frames for review of other major resource developments. An efficient permitting process that reaches timely decisions while not compromising our high environmental standards will ensure that the state’s resources are responsibly developed for the benefit of all Alaskans and protect the future of Alaska’s economy. Eric Fjelstad is an environmental and natural resources attorney in Anchorage and manages the Alaska office of Perkins Coie LLP. His work for natural resources clients includes Pebble Limited Partnership. Bill Jeffress is a principal consultant with SRK Consulting in Anchorage and formerly was the director of the Alaska Office of Project Management and Permitting from 2003 – 2005.